From today, 6th April 2018, a ‘ground-breaking’ sugar tax comes into force across the UK. At Doozy, a healthy vending company committed to promoting healthier drinks and snacks, we have been following the Government’s efforts and are delighted that the levy on sugary soft drinks has come into effect. 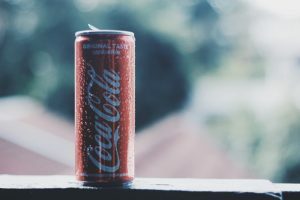 Tim Varney, owner of Revive Vending Limited in Wiltshire which operates the Doozy brand, says: “Would soft drinks companies have reduced their sugar content had it not been for the sugar tax? Of course not. In effect, in an effort to reduce sugar in drinks, you have to say the sugar tax is already a fantastic success. “It is inevitable that at some point the government will have to do the same with artificial sweeteners. Soft drinks giants should begin to plan now for how they will accommodate regulation on artificial sweeteners like saccharine and aspartame.